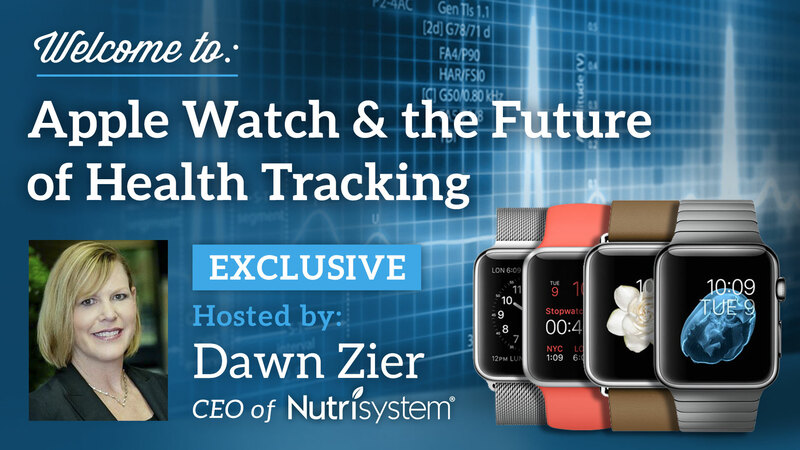 Apple Watch & the Future of Health Tracking with Nutrisystem CEO, Dawn Zier - Innovation Loft | UNLEASH YOUR TEAM’S POTENTIAL! As technology gets lighter and slimmer, Americans seem to be getting bigger and heavier. The same internet technology that allows us to order a pizza with “one-click checkout” is now helping us track our health. On September 9, Apple previewed their forthcoming Apple Watch, which will join the Nike FuelBand, Fitbit, Samsung Gear and other products already in the market part of the “Quantified Self” trend – an unprecedented opportunity for people to track their daily exercise, diet, sleep, heart rate and other behaviors. But how does all of this technology work, and is the information truly helpful? On Thursday, October 2 at 6 PM we’re going to find out. Nutrisystem CEO, Dawn Zier, will present some of the latest health technology data and share her perspectives. Dawn draws upon her background in consumer insights, marketing, and engineering, to explore the evolving field of the “Quantified Self,” and separate fact from fiction. How “Quantified Self” data can be used to deliver insights to consumers and industry. Why too much information isn’t always constructive, and may even be counter-productive. How “big data” is helping identify things such as the most dangerous dieting minutes of the day. How all of this data can be used to deliver more personalized, compelling customer experiences. The event will be held at the Innovation Loft, 151 W. 30th Street (at 7th Avenue.) RSVP is required for this exclusive event.